From one of the leading operators of flexible workspace in the US comes this fantastic virtual office in McLean, VA, based right opposite Greensboro Station in a beautifully developed professional complex. With a virtual office package, you'll get a prestigious McLean business address for mail services, a local or toll-free phone number, and the opportunity to use beautifully equipped meeting and conference rooms on-demand anytime you need them. Plus, if you choose a Live Receptionist service you'll also benefit from a professional telephone call answering and calendar scheduling service throughout the working week -- perfect for busy entrepreneurs and growing businesses. Located in the heart of Northern Virginia's Fairfax County, the densely populated community of McLean is situated between the George Washington Parkway and the town of Vienna. Known for its many upscale homes as well as its shopping and upscale malls, McLean is located near Tysons Corner Center and Tysons Galleria. McLean is home to many diplomats, members of Congress and high-ranking federal government officials, entrepreneurs and service businesses. This is partially attributable to McLean's proximity to Washington, DC and the Central Intelligence Agency. 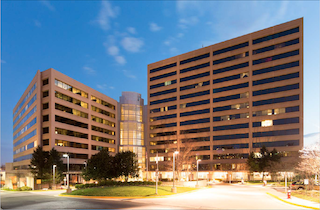 Several major companies are or have been headquartered in McLean including Booz Allen Hamilton, Capital One, Cardinal Bank, Freddie Mac, Gannett, Hilton Hotels Corporation, Mars, MicroStrategy, Science Applications International Corporation (SAIC), Sunrise Senior Living and USA Today. If you are searching for premier office space to rent or lease in McLean, let ABCN handle everything for you! From start to finish, ABCN is here to help. To speak with a representative about McLean executive office space availability, give us a call at 1(800) 869-9595.